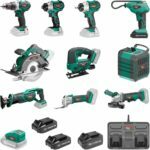 Grizzly – known for their great woodworking machinery that offers a high value has been making bandsaws for the small garage shop all the way to pro furniture makers and have plenty of bandsaws to choose from, with many getting awards from trusted review sites. 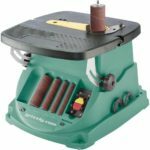 For many years, they’ve had a comprehensive catalog of bandsaws to choose from although nothing smaller than 14 inch bandsaws. There are quite a few entry level 9 inch bandsaws from other manufacturers on the market including (Craftsman, Powertec, Ryobi, and Central Machinery) and Grizzly has stepped into the ring this year with their own entry level 9 inch bandsaw. There is one big difference between the Grizzly G0803 9″ benchtop bandsaw compared to other 9 inch entry level models, and that is that Grizzly throws in all the bells and whistles missing on the other brands 9 inch models. 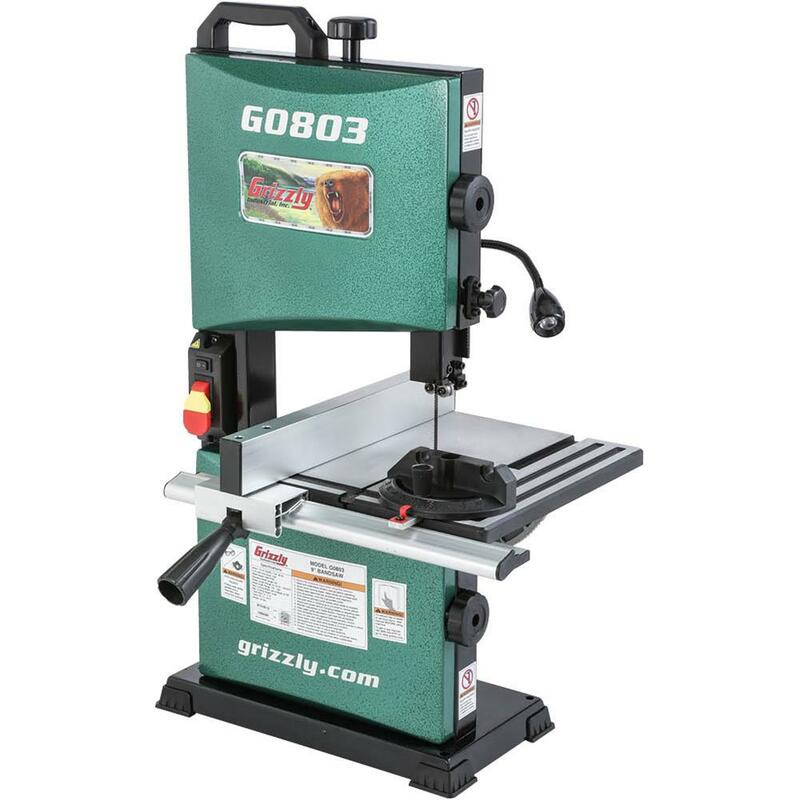 On the outside, the Grizzly model looks to be the same identical bandsaw to the other brands. I’ve looked at the other models from other brands and they all seem to have the same physical appearance, specs, and features, except for the differing color scheme and branding, and the Grizzly model is no different. I wouldn’t be surprised if they all come from the same manufacturer. Although Grizzly’s model appears to be the same unit with a different color scheme and branding, their model offers several upgrades the other brands don’t. First of all, you get an upgraded 1/3 hp 2.8 amp induction motor for a bit more power. The doors on all the other models are plastic but the doors on the Grizzly model are metal with a metallic paint finish. None of the other brands 9 inch models include a fence, and Grizzly’s model includes an all aluminum fence. 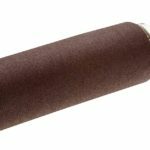 Next on the list is a built in LED lamp that sticks out from the back and is on a flexible metal tube to position it in place. Probably one of the biggest upgrades on the list is that Grizzly’s model uses upgraded ball bearing blade guides on both the upper and lower guides, whereas the other 9 inch models use basic steel guide blocks. And to top off the upgrades list is a large carry handle on top of the unit for easy carrying to your next location. Grizzly’s model is nicely featured and fixes what the other 9 inch models don’t have making this a feature packed bandsaw. Of course the added amenities do pump up the price up to $189 compared to the average price of $129 for the other models. So you pay more for Grizzly’s unit, but you get more. One downside of Grizzly’s price point for their 9 inch unit is that it creeps into 10 inch bandsaw pricing. 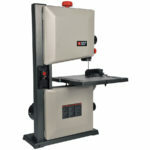 Craftsman’s own 10 inch bandsaw model has all the same extra features of the Grizzly 9 inch unit except for the LED light, carry handle on top, and metal doors in favor for plastic doors at $199. But Craftsman’s model uses a larger blade which in turn will give users a slightly larger resaw capacity and throat capacity which in my opinion is more important than a shiny metal door and a carry handle. 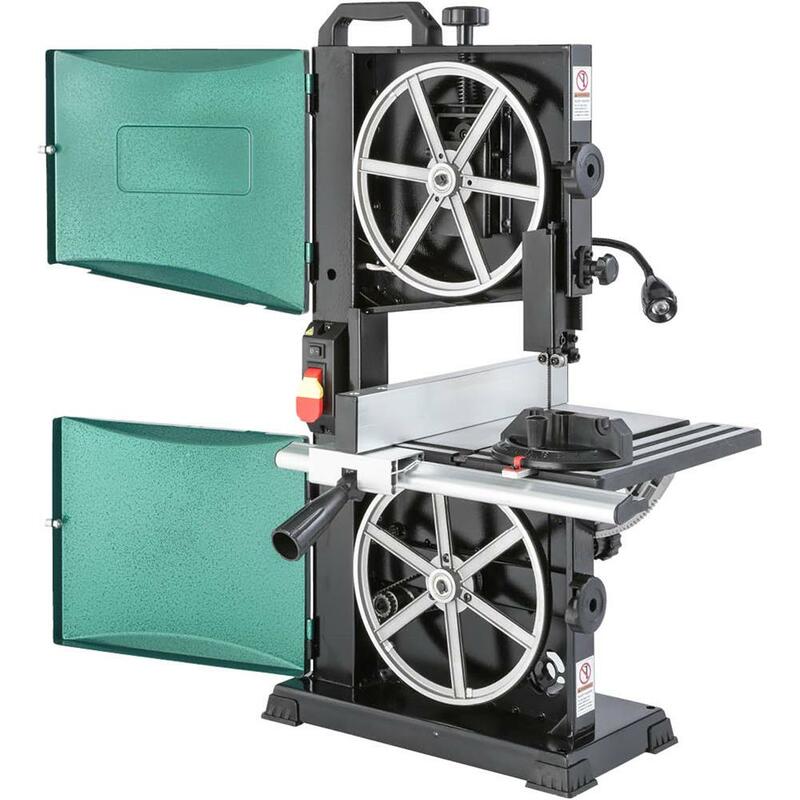 Introducing “The Cub” 9″ Benchtop Bandsaw, Grizzly’s first addition to our benchtop series of portable home shop machines. 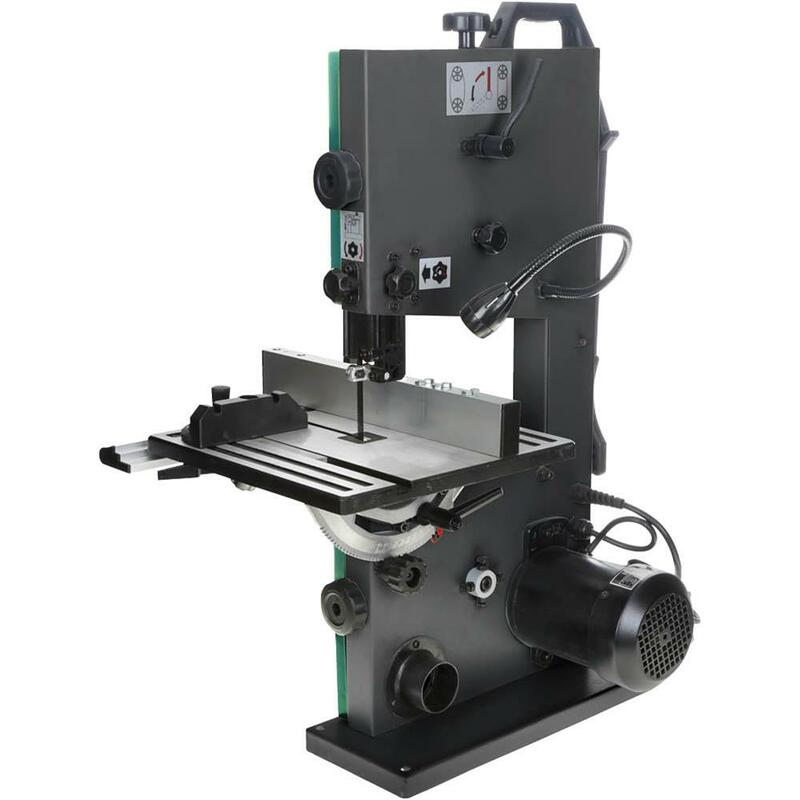 We designed this machine with many of our industrial elements from our bestselling 14″ models, and added some industry-first features for a benchtop bandsaw like the stout carrying handle, upper and lower ball bearing blade guides, and LED light. Metal doors and a 4″ dust port with a 2-1/4″ reducer for shop vacuums add to the list of impressive features this little bear offers. The all-aluminum fence and built-in table scale make this a great addition to any shop – small or large. 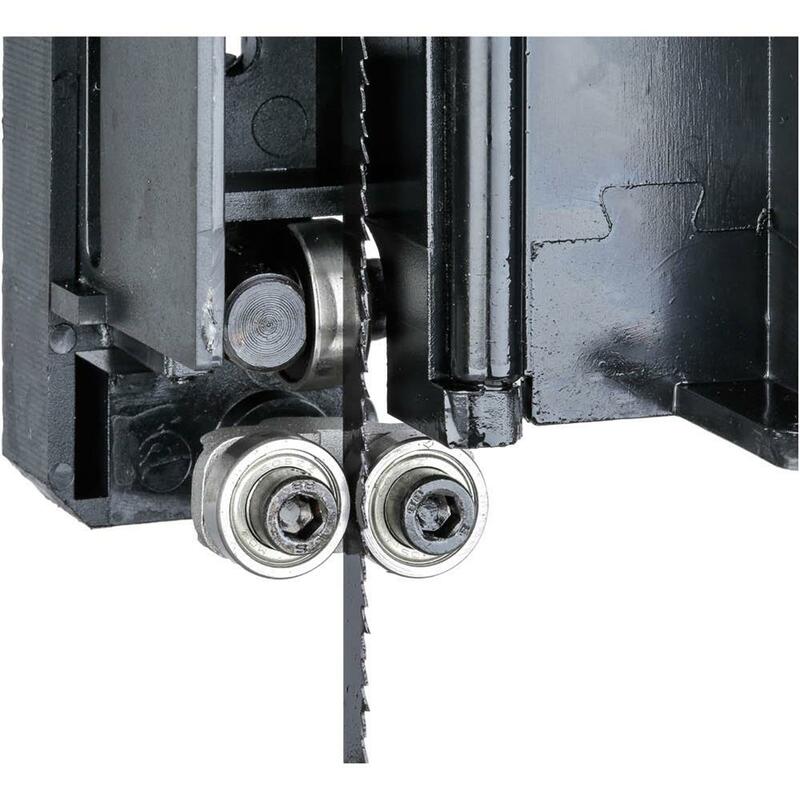 Can this band saw be used to cut metal stock for knife blades?